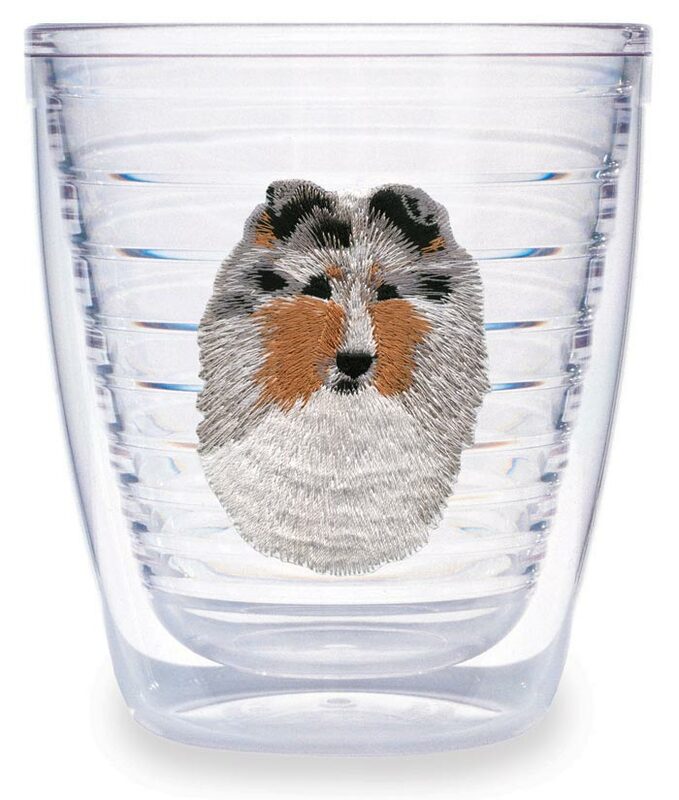 Thermal insulated 12 oz Tumbler features an embroidered Blue Merle Sheltie inside the insulated walls. Tumbler and design won't crack or break; dishwasher, microwave and freezer safe! Priced for a lifetime of use and enjoyment. Quantities of these are limited.